Must Have of the Day: Looking for Easter Dresses? Wonderfully sophisticated our Olive Top is an essential for this collection. A slight peplum flare and gorgeous floral print make this your go-to top for barbecues, parties and family photos this spring! A romantic garden party inspired jacket for the sweetheart in your life. The Avery Jacket has endless pairing options and is darling Spring, Fall, and Winter. 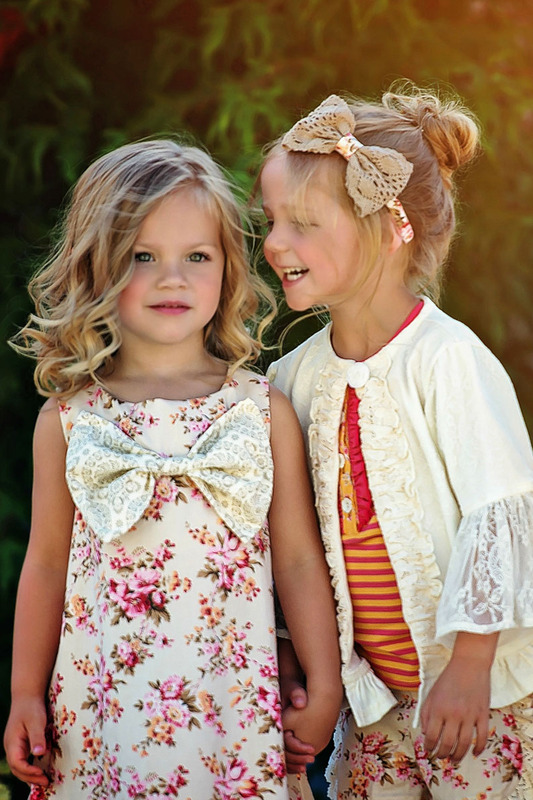 You will love this one-of-a-kind style that keeps your baby girl little just a bit longer. 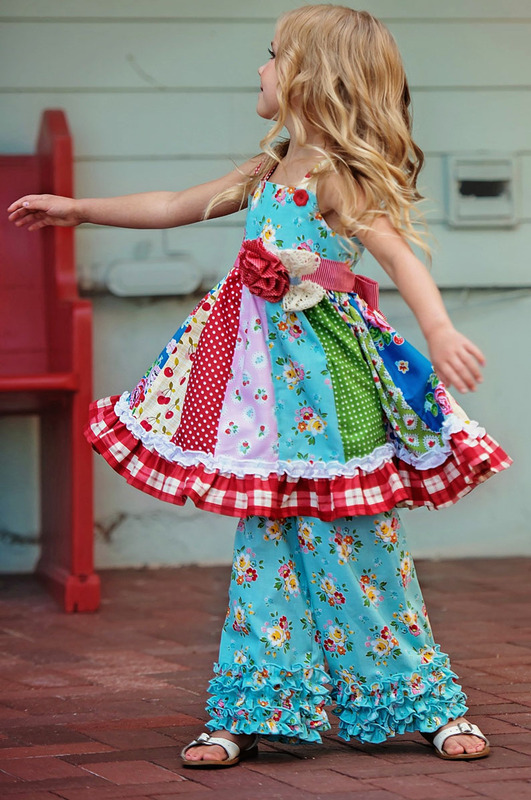 This beautiful dress has many darling panels of whimsical fabrics and the perfect amount of ruffles at the bottom to make sure your little girl steals the show every time. 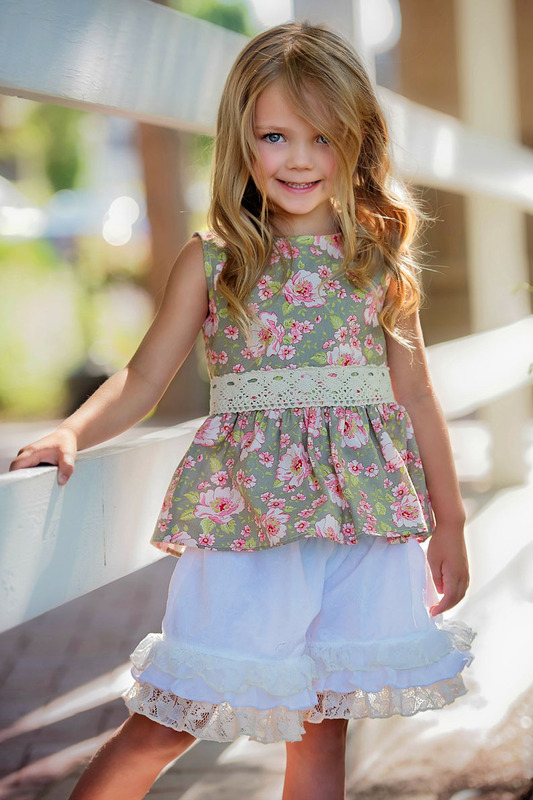 She will love with wearing it to tea parties, the farmers market, and any special occasion on her spring calendar. Whether you are going on a picnic or to the playground this dress is perfect for all of your Spring activities. Your daughter will absolutely adore this Hopscotch Dress and will be skipping and twirling everywhere you go.